Product information "Wahoo Kickr Pain Cave Set Power Trainer"
Get everything to build your own perfect Pain cave! 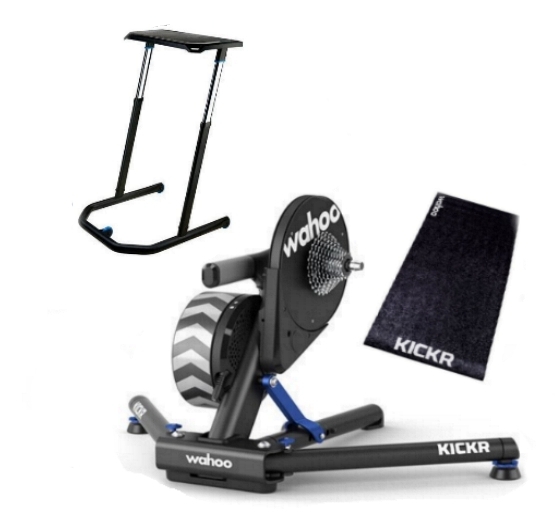 This bundle comes with the Wahoo Kickr power trainer, a Wahoo Fitness Desk and a Kickr floormat. The KICKR wheel-off smart trainer provides the ultimate indoor training experience with it's realistic road feel, power accuracy, and software training options. Related links to "Wahoo Kickr Pain Cave Set Power Trainer"
Customer evaluation for "Wahoo Kickr Pain Cave Set Power Trainer"